VF5FS update on XB1 (504mo) wtf ? jimi Claymore and Jason Elbow like this. Wtf? An update for fs? In this day and age? 2 weeks until the bomb Sonic Mania https://youtu.be/uTXR0T5mJ68 hype ! VFhayato, Shag, Mold_Monkey93 and 2 others like this. Yakuza 5 is free this month on PS3........with PS+ so not so free :') Get that game, better than a movie and Yakuza = godlike SEGA ! There is a stream for the Sonic's 25th Anniversary in about 17 hours. Twitch SonicOfficial channel. Parasite_eveNZ and jimi Claymore like this. 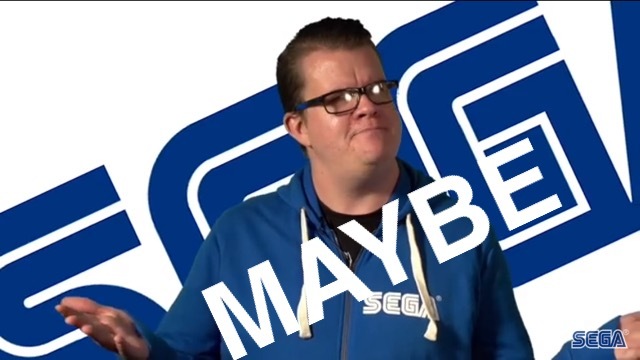 Please make bespectacled Sega guy saying 'maybe' the new site banner. Petition for Virtua Fighter 6 https://www.change.org/p/sega-we-want-virtua-fighter-6 300 signatures in 24h. Chances are that they're already working on it. If not, then Sega doesn't think that they'll profit from it. A petition from Americans, of all people, won't change anything. Sign guys, it costs nothing ! But now it's better than nothing for VF. With the 360/One the game still exist and you can take screenshots, clips, streaming... So that's cool. ofc a PC port would be great, but does SEGA want to pay it ? They can't even pay subtitles lol. oneida, Kruza and BLACKSTAR like this. I wont get a xbox one until vf5 fs is bc. Seriously, just make a retuned PC port, at least revive the game(even for a short timed period) and gather the whole community on a single platform. Yes, a port for PC would be great of course ! But it's better than nothing for VF. I liked this so I can dislike it.